After re-reading some of my old blogs this weekend, I was reminded of the importance of play (unstructured play) & the importance of being outside in nature. Both are so important for the growth and development of children. It helped firm up my desire to make sure we gets lots of time out in nature, exploring freely and letting them use their imaginations. In other words it's just great for kids! Sounds like most of the skills they'll need later in life- right?! Today was a perfect day for this. We headed to the seashore to explore and just enjoy being outside. We met up with my family and had a great time searching for crabs, looking for sea glass, finding shells and rocks, and climbing all over the place. We saw boats and forts and soaked up the fresh air and sunshine. Alec made a new friend and hung around with her family for a good hour. The boys all made a dam to hold back the water and brainstormed ways to keep the water in. They later decided they wanted to allow the water to flow through a bit to keep it clean but to keep all the sand inside so Alec thought to use seaweed as a filter. The boys watched the cormorant catch a crab and try to eat it. They went swimming, looking with their goggles at all the fish. Evan and my nephew had a whole game going while climbing up and down this boulder. They settled down to have their own picnic lunch away from us and we could often hear their laughter and voices through the trees. We saw lots of ships passing by and the boys were most impressed with the barge pushing the huge ship out to sea. We found a horseshoe crab shell complete with barnacles, lots of clam- type shells, and what we're pretty sure is a Mockingbird. Alec recognized the bird due to the variety of calls and sounds we heard. I keep finding all your good stuff at the BBB link up. I couldn't agree more with the importance of outside play! It is a huge reason we decided on the homeschool path. Aw, thanks! I'm glad you like my posts. Outside play was not one of my reasons for deciding to homeschool but I do think it is one of the largest benefits we've found. 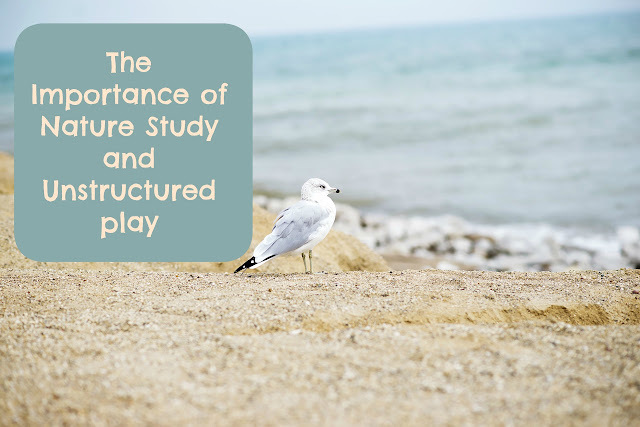 I agree ... outside, unstructured play is sooo important. We had some nice, warm days here in PA last week, and I loved watching my kids explore the woods. A lot of laundry was produced, but well worth it! Yes, it certainly does make more laundry and I've also noticed a lot of mud and leaves coming into the house too. But it is well worth it. Thanks for the reminder! We've been sick and staying indoors, and I am sure ready to get back outside! Oh it is no fun being sick! Hope you are all better now and manage to stay that way. Thanks for the reminder. We have so much pollen and then bugs and then heat, its hard to want to go outside and enjoy! 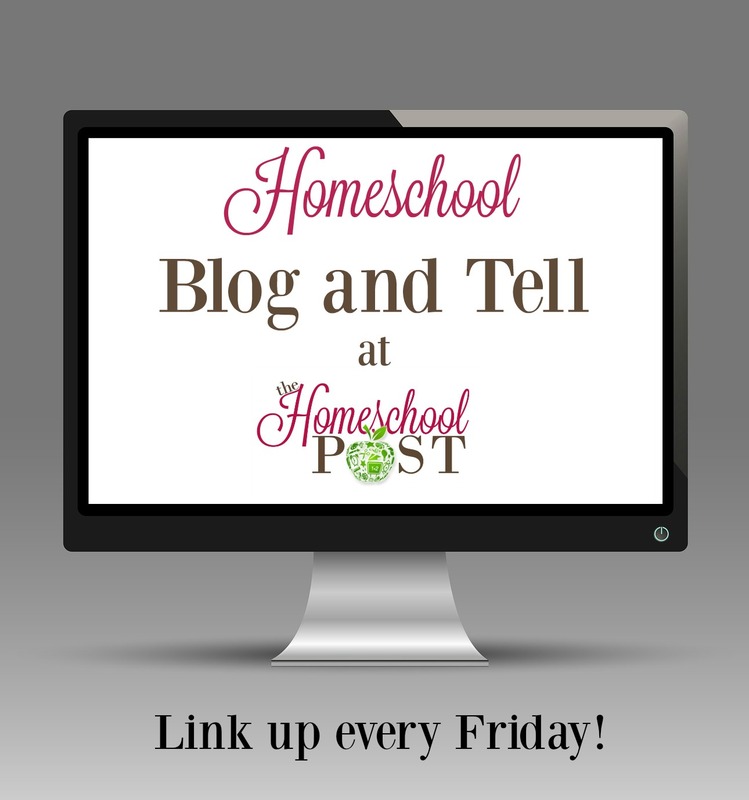 Found you at HomeschoolingNook link-up. Oh I can totally understand that! Our pollen can get pretty bad here too; luckily we usually have a nice breeze in our yard and that keeps most of the bugs away. I love your article! I think your point #2 - lessening of aggression, is a huge deal. We've explored some different educational options with my daughter over the years and when we've encountered very structured/strict educational environments, I've been amazed at how aggressive the kids are. It's not good. Thanks for this lovely post! There's so much fun and learning to be had just by walking out the door! We try to spend so much time outside in summer!! It's been raining non-stop here and cold, but we still get out when we can so they can play and explore! We've had a chillier than normal summer so far but we are definitely taking advantage of those nicer days whenever we can. Thank you; we really did!